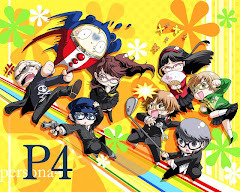 (+)Pros:-A great blend of RPG and stragetic elements,-fun and intruiging story that gets exciting and emotional towards the end,-amazing visual style,-gameplay is refreshing and addicting,-good variety of maps that draw you to go back to them again and again. (-)Cons:-Ai gets retarded at times. When it comes to JPRGs on the 4th gen console, theres only one so far that I own and love the most. 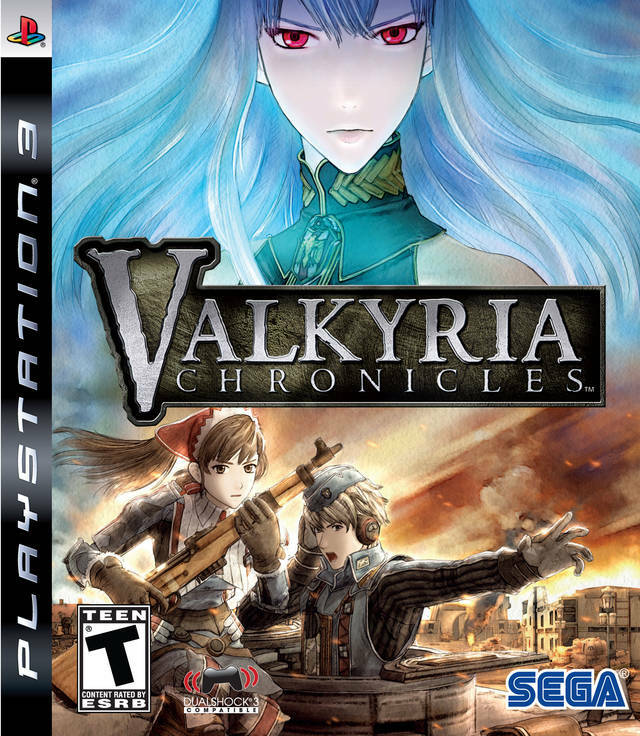 Valkyria chronicles is by far my favourite JRPG on my PS3, and I regret only buying it late last year.....I completely missed out on the fun. This is in my opinion, way better than big hitters from square enix like Star ocean:the last hope and even Final fantasy 13. 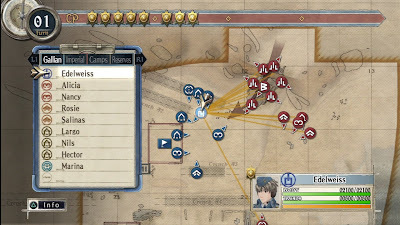 Seemingly combining strategic, third person shooter and RPG elements, Valkyria chronicles is an incredibly refreshing 3 in 1 package that doesn't fail to deliver an exciting, fun and brand new experience no one has ever seen before. Its stupid thinking back that when I saw the trailer of this game, I got turned off....well playing the game sure made me change my mind quickly. The game tells the story of a war taking place in Europa, a world set in the game's story. The imperials and federal nations are at a world war, competing for ragnite, an important resource in that world. In the center of these 2 countries is the neutral state Gallia, who wanted to have nothing to do with their conflict. Unfortunately Gallia is full of ragnite, and that just means war was going to come to them wheter they liked it or not. The imperials invaded Gallia, and that caused a huge uproar. Welkin, a young gallian man who went back to visit his hometown, is suprised when it came under attack by imperial forces. Working together with the town guard Alicia, whom he just met, these 2 repelled the imperial attack forces and barely managed to escape. 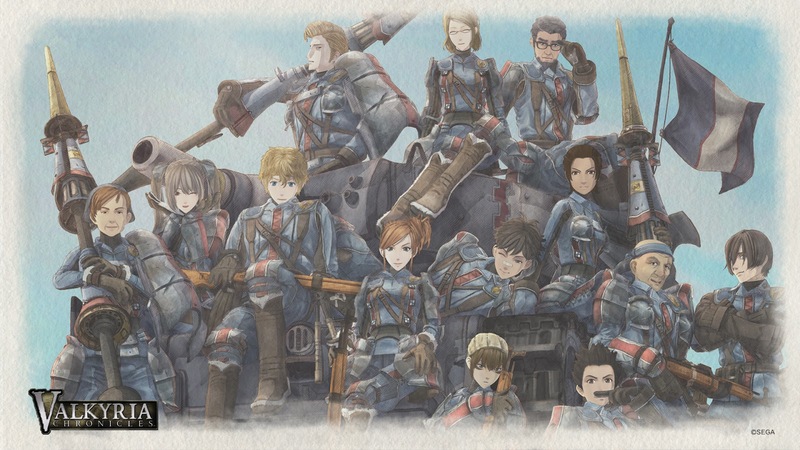 Later, in an attempt to fight for thier country, Alicia and Welkin join the Gallian militia, and they formed squad 7. 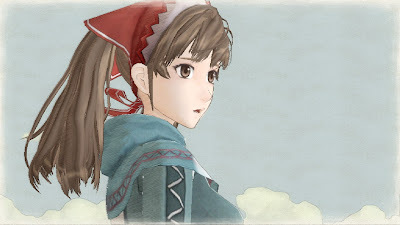 Now Welkin leads squad 7, and they fight for Gallia against the imperial army in desperate situations. Boom boom pow, you dead! The game is played through a book's standpoint, and that isn't necessarily bad. You go through chapters through pages in the book, and navigate everything through that book. Be it going to your squard barracks, or viewing previous achivements and missions. This navigating of menus seem lazy, but thier accessable, and they quickly grow on you as you check on all different areas through that book itself. The graphics are amazing, its not really a technical marvel like that of battlefield 3 or crysis 2, but more of something like the recent Darkness 2. 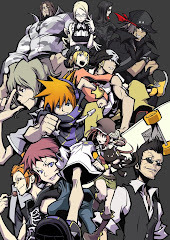 The game uses a water color painting visual style, with tones of shadings to make everything look much livlier. Ever since I played this game I started to adore its visual style, and grew to like games with these kind of graphics, like Borderlands or Darkness 2. Yeah, its just that good. ﻿Also, while its that good, it transitions just as well into the gameplay. Gameplay, as mentioned earlier, is a three way blend between third person shooting, strategy and RPG. The first phase is the stragetic phase, where you view all of your units from a map standpoint, and all your units are just nodes with icons of the classes that represent them. Here, you view the placement of all your units and enemy units that are in your field of vision, and you can see all thier stats, and your remaining CP. Selecting a unit costs CP, and when all your CP runs out, your phase ends. Selecting a unit zooms you into that enemy and brings you to the battlefield, now THATS where the game feels like a war. Plan your tactics well as you charge into the fray. ﻿ When you zoom into a unit, the game becomes a third person shooter. You run around as that unit, and the amount you can move depends on your stamina. Different classes have different amount of stamina, and speaking of classes, I'll quickly go through all of them. Theres a Scout class, which is just your standard soldier that can cover the largest distance with thier feet. They can take down enemy scouts and other squishies, but basically they die to the rest. Shocktroopers are massive infantry killers, they kill every soldier on the field with ease, and can take a good amount of punishment, but they still lose to tanks and can't really move that much. Lancers are your anti-armour units, they take down tanks like they are eating candy. They can also kill infantry with thier missles, though that requires some good aiming. They cant really move alot. Engineers can cover good distances too, but they are weak when it comes to fighting, thier fort comes in repairing your tanks. Snipers move the least, and die the fastest when it comes to combat, but they can take down any enemy infantry in 1 shot, deadly. As you move your characters on the field, any enemy that spots you will shoot you, but when you stop and decide to attack one of the enemy units, all enemy fire will cease, and the game becomes a RPG from there, comparing the stats between the 2 units. If the enemy survives your assualt, they will counter you. Same for the enemy, during thier turn, your characters shoot them as they move around, and when they attack you, you counter them if you live through that attack. Its really fun, and due to the fact that there are a good amount of maps (some of them revisitable through skirmish), combat doesnt really get old. You will really want to replay these maps and earn more experience to power up your squad. The visual style is just stunning! Its really hard to fault a game such as Valkyria chronicles. 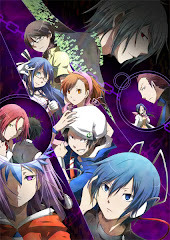 The story is fun to watch unfold and is full of emotional moments, the gameplay is just a double thumbs up and the graphics are just stunning, no matter what faults plague it, the experience you will receive won't really be affected. However, the AI can get a little stupid at times. They spend turns moving around randomly, not doing anything. They sometimes just spend a turn to make a soldier stand there and do nothing, what the hell? They even send scouts charging straight into your team of shocktroopers to die. Its kind of stupid, but it doesn't take away from the experience much, since later stages have enemies sending in tons of reinforcements, providing the challenge the game wants to. 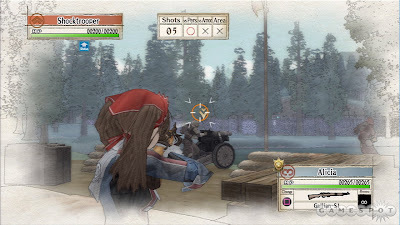 Valkyria chronicles is not something that will attract people based on looking at it, the visuals may be stunning, but gameplay requires some hands on before it will start appealing to players. Its beautiful to look at, its fun, and most of all, its unique. Valkyria chronicles easily beats cliche standalone titles like final fantasy in my opinion. 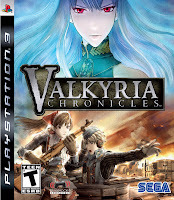 Its a pity the other valkyria chronicle games aren't on the PS3, it would have been a better in my opinion. I have yet to start on VC 2, but when I do, Im pretty sure I'll enjoy it.